New Adventures in Sound Art (NAISA) joins Continuum to give an electronic boost to its already juiced ensemble. New works by Scott Wilson, Scott Smallwood and Rose Bolton, along with a Call find and a wild find, create a concert with musical statements ranging from the delicate to the explosive. Read about co-Artistic Director Ryan Scott's Newfoundland experience with Talking Down the Tiger, along with his interview with Andrew Staniland, here. 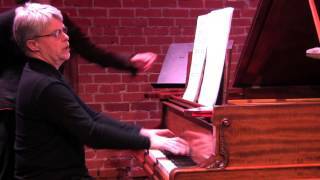 Continuum’s ensemble, with Andrew Staniland (electronics).